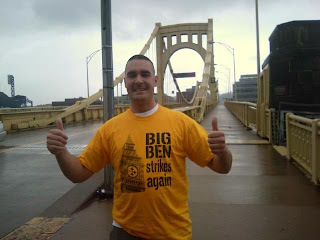 So the guys will be making their way back from PITT later this afternoon, and Im sure they need rehab or a vacation from vacation. 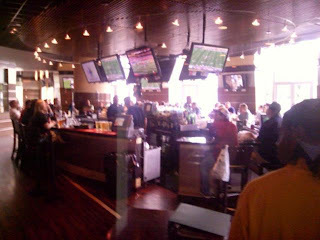 Here are some more pics they sent me along the way. 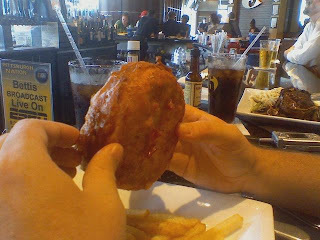 Derek tried a deep fried burger, though it sounds good I am sure he felt awful after eating it and may have needed to go the ER. 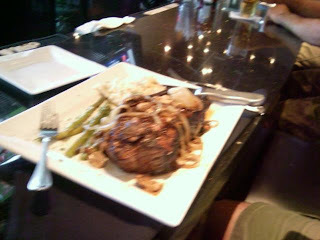 Chrissy ate a 36oz steak from Jerome Bettis's joint, and im sure he puked after like he did at the Wing A Lympics. It appears to me that Smiddy had a good time he had his thumbs up and a kool aid smile in every picture so far. 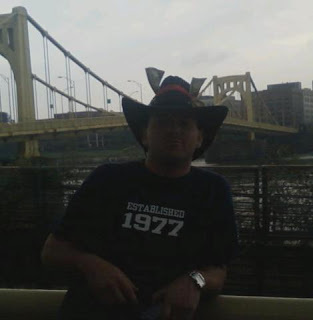 Jeffrey rocked the cowboy hat and he wore it well. 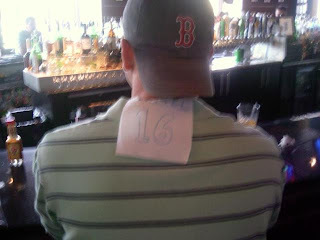 Mike I couldnt agree with you more about the Matt Cassel era. 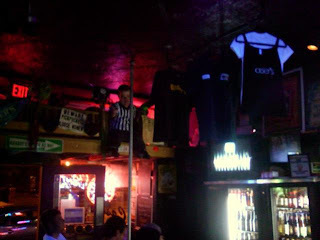 Now I saved the best for last, the Midget in the bar about to slide down the pole is hysterical. 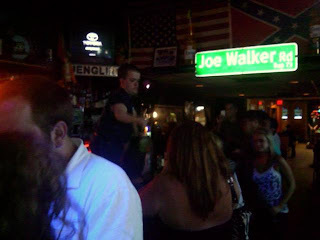 Whats even more funny is that the bar uses a midget to draw in the crowd, but did anyone notice the confederate flag on the wall?? Nothing short of amazing if you ask me.